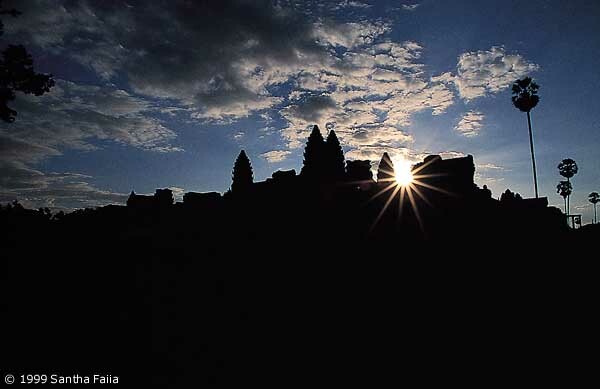 The towers of Angkor Wat playing with the sun at dawn. 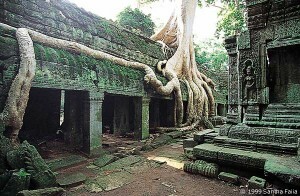 Nature and architecture in harmony in Ta Prohm. 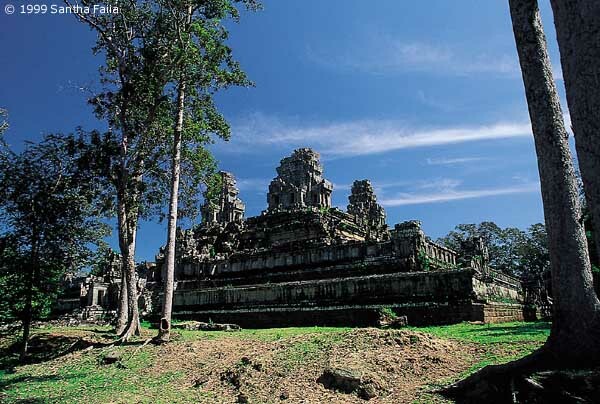 The Phimeanakas, 'Palace of Heaven' was perhaps the scene for Khmer astronomical rituals involving the constellation of Draco, the serpent. 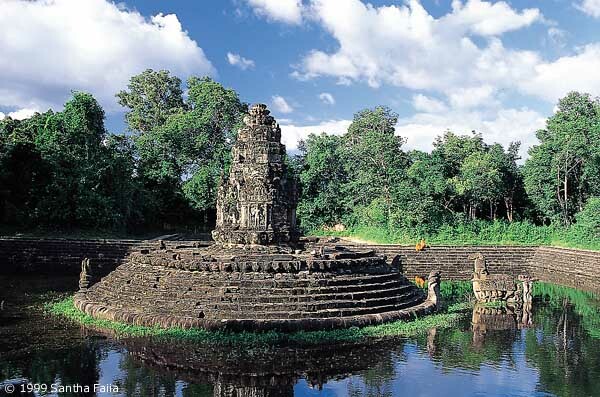 Central sanctuary of Neak Pean, encircled by two coiled Naga serpents. The temple of Ta Keo, the terrestrial counterpart to Zeta Draconis in the constellation of Draco. 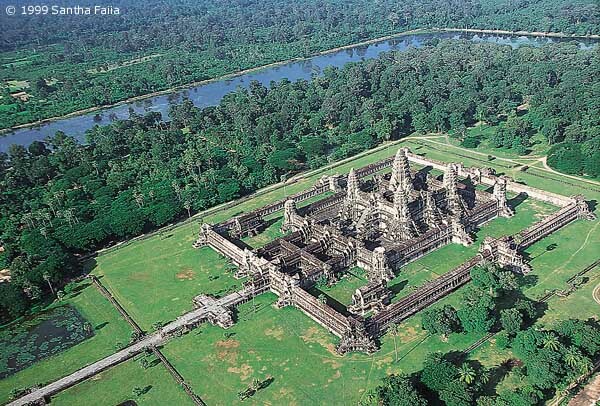 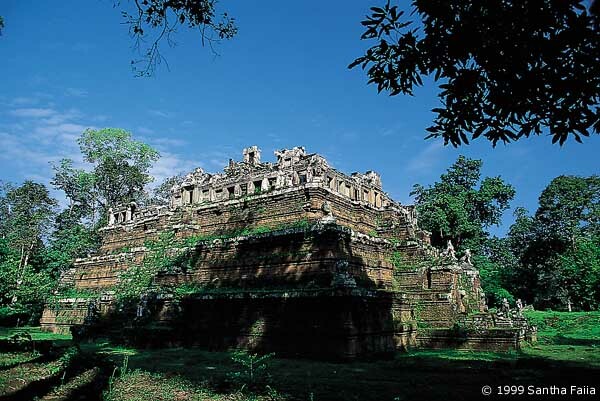 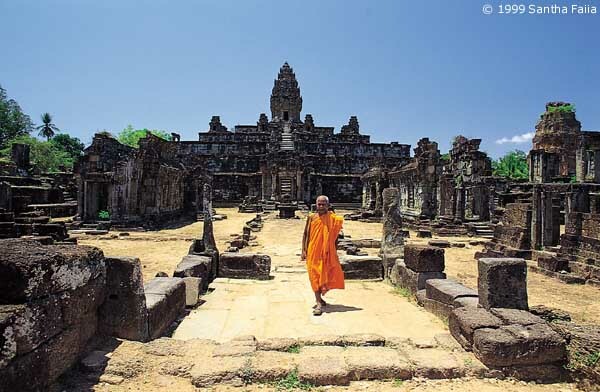 The temple of Bakong at Roluos, which, together with the temples of Prah Ko and Prei Monli, forms the pattern of the three stars in the Corona Borealis visible above the horizon at dawn on the spring equinox, 10,500 BC. The 'mandala' - 'magic circle' of Angkor Wat.